Good News!! The Sapwi Bike Park in Thousand Oaks remains in good condition. 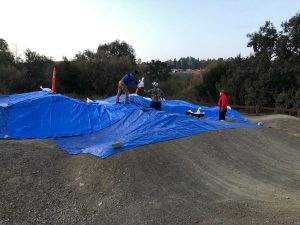 Members of the Sapwi Bike Park Committee have been working hard to protect the pump track with tarps to help minimize the maintenance required. Please continue to not ride the track in a wet/muddy condition and respect the closures. The committee is preparing for the second phase of the park. They hope to have the funding and plan in place soon. It has been wonderful to see the many kids enjoying the park and learning new skills. Sapwi Trails Bike Park Fundraiser on Thursday June 14! 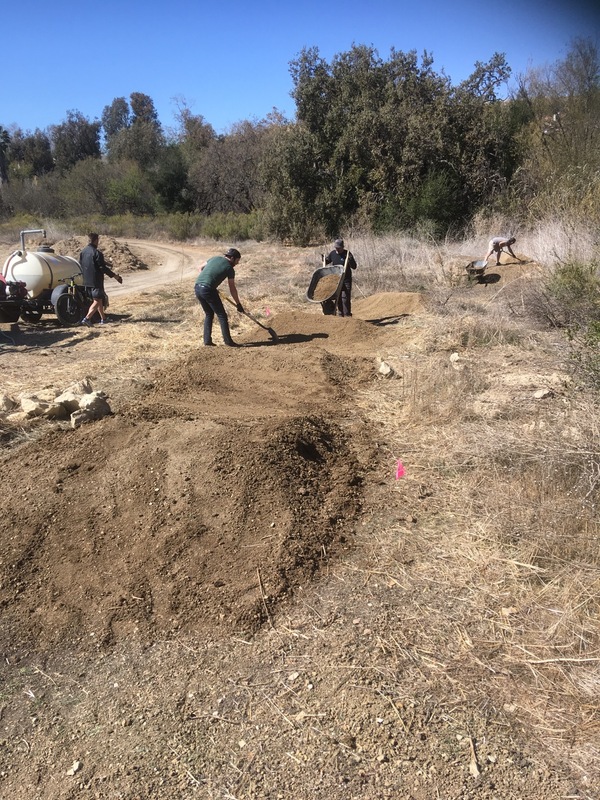 The Conejo Valley’s first bike park is nearly a reality. Help us with our fund raising efforts. Get your tickets (link below) to join us for a progress update on the Sapwi Bike Park, our fundraising campaign kick-off, and viewing of movie “The Moment“. The event will be held at Giant Bicycles North American Headquarters in Newbury Park. Ticket price of $15 includes admission to movie, light snacks, and a raffle ticket! Additional raffle tickets will be available for purchase at the venue; must be present to win. Building the pump track at Sawpi Trails in late February, 2018. The photo shows some activities from a workday this past weekend.